Exciting boat ride from Kumarakom to Periyar. Enjoy an enchanting Kathakali Dance Performance. Relax at Kovalam beach in Kerala. 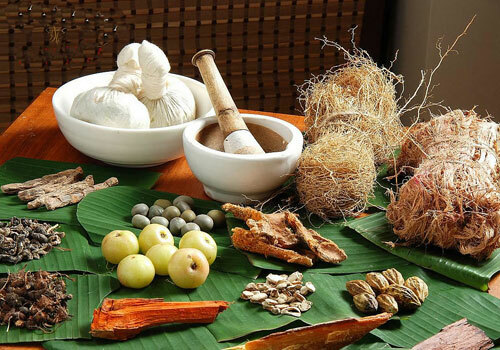 Take a Ayurvedic therapies and treatments in best Ayurvedic center in Kerala. 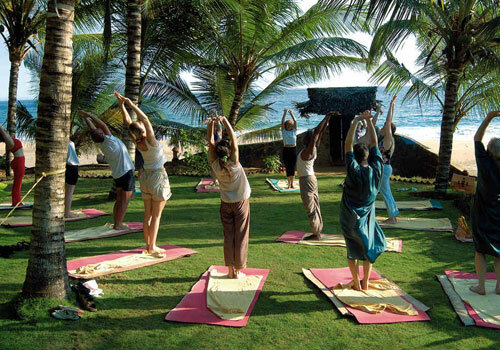 Ayurveda package at Visittnt provides de-stressing vacation that help you concentrate on health. Come and experience Kerala as a healer covered with abundant natural attractions. We provide you a 14 nights and 15 days tour package that focuses on Ayurvedic and natural treatment for de-stressing and rejuvenation. The package scales Trivandrum, Thottapally, Alleppey, Kumarakom, Periyar, Munnar, Cochin and Kovalam. We help you access traditional Ayurvedic resorts, spice village and luxury treatments and make you choose from a long menu of exotic massages and treatments. Arrive to a warm welcome in Trivandrum. Our representative will be at the Air port /Railway station to receive you and will assist you to your hotel where you can relax for the remaining part of the day. Afternoon proceed for a half day city tour of Trivandrum. Trivandrum is a bordered by Quilon district in the north. It is a Capital of the Kerala State, is a most attractive city of magnificent structures built on seven hills with ancient and modern style of architecture. The main attractions include famous Padmanabha Swami temple, Museum, Sree Chithira Art Gallery and Science & Technology Museum. Overnight stay would be at Trivandrum. The day starts early breakfast and drive to Thottapally – The gorgeous village situated near Ambalaphuza. After reaching, embark on a houseboat and set out on an enchanting cruise towards Alleppey. The houseboat provides the essential services of lunch; dinner and a quiet stay that helps get rid off the tiredness of the trip and help to gain new liveliness. While sailing along the backwaters, Enjoy charming sights and view numerous palm-fringed beaches that are sure to add up to an experience of a lifetime. Enjoy a lavish breakfast before disembarking from your houseboat. Afterwards, you will drive to Kumarakom and check in at a resort located by the backwaters. Upon reaching, put up for the night at any of the renowned Ayurvedic resorts like Taj Ayurveda Centre, Coconut Lagoon Resorts and Dharma Ayurvedic Haven – each presenting a wide range of Ayurveda therapies and massages. Overnight stay would be at the resort. Take pleasure in an exciting boat ride from Kumarakom to Periyar. At the Priyar Lake you may get to see many exotic varieties of animals and birds. You will also be able to have a good look at many wild animals lazing on the banks of Lake Periyar. While at Periyar, you can even indulge in some rejuvenating massages, steam bath and yoga which help in reenergizing your body, mind and soul. Drive to the heavenly hill station of Munnar after breakfast, which abounds in exotic flora and fauna and also home to lush green tea, coffee and spice plantations, Munnar is a great place to visit for a relaxed vacation. It is the luxuriant gift of nature to the Western Ghats, the eastern border of Kerala and an adjoining part of Tamilnadu. After check in at hotel, pay a visit to the rambling tea and spice plantations and the Eravikulam National Park around afternoon. A journey to Munnar is a drive through picturesque surroundings, but the mainly sought after offerings of the estates are the unbelievably pure air. Get Benefit the services of Ayurvedic therapies at your hotel and stay overnight. An appointment with Cochin, the “Queen of the Arabian Sea” is located in the South Western Coast of the Indian Subcontinent. It is an exciting city and is also referred to as the Gateway to Kerala. It is a small town situated in the Ernakulam district of Kerala. The city is bordered by the Western Ghats in the East and the Arabian Sea in the West. The tourist attractions in Cochin include forts, sanctuaries, Palaces and Churches. Embark on a sightseeing tour on arrival. In the evening you can enjoy an enchanting Kathakali Dance presentation. Stay overnight at hotel. Stay overnight at a hotel in Cochin. After breakfast, drive to Kovalam Beach - The Kovalam beach in Kerala offers the most excellent of facilities to its visitors like sunbathing, swimming, Ayurvedic massages and plenty of other options. Apart from sunbathing and swimming, the beach is idyllic to get long walks and watch the miraculous sunset while the warm water softly laps at your feet. Come and experience here to recharge your energy levels and feel refreshed once again. Kovalam also position as a most important Ayurvedic center with many of its hotels and resorts providing excellent Ayurvedic rejuvenation therapies and treatments. From the 8th day onwards, we will subject you to a one-week rejuvenation program whereupon your body, mind and soul will get thoroughly healed. You can either laze around on the beach for the entire day or pamper yourself with some rejuvenating Ayurvedic therapies at the Ayurvedic Treatment Center in Kovalam. Trained masseurs will provide you traditional Ayurvedic massages with oil extracts and aromatic herbs. These massages can be helpful for curing various diseases like weight related problems, arthritis, spondylitis, paralysis, migraine, premature ageing, hysteria, and many other ailments. So spend your days reveling in the natural beauty of Kovalam besides enjoying some of the best Ayurvedic treatments that benefit both body and soul. 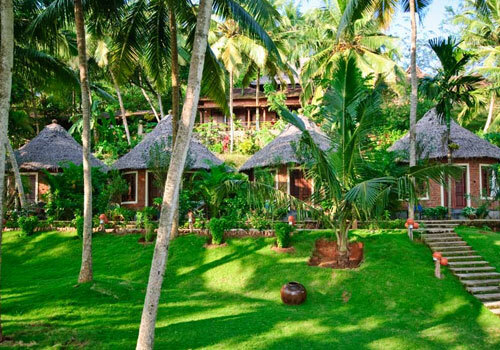 As advised by the doctor, you can go for 7 - 14 days of treatment at the Ayurveda Resort in Kovalam.